Even in his time, artificial pearls found their way into royal courts and onto the canvasses of master painters. The fashion-setting monarchs of France and Britain Catherine de' Medici and Elizabeth I were famous for their extravagant love of pearls. Elizabeth famously purchased faux pearls from Venetian glassmakers to adorn her garments. She commissioned many portraits donning her pearl studded creations. 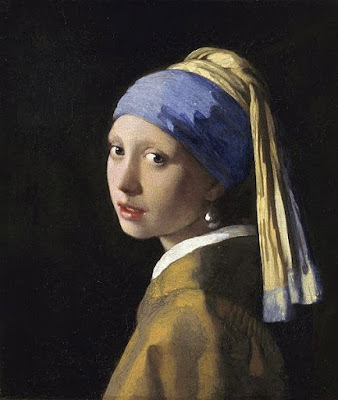 Referring to the famous painting by Johannes Vermeer, Lloyd Schwartz recently observed, "[T]he scholarship on Girl with a Pearl Earring reveals that the pearl isn't really a pearl […] the famous pearl is probably just glass painted to look like a pearl. 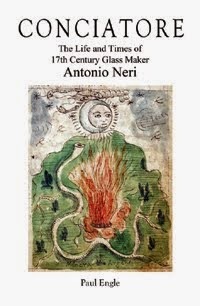 "* It is interesting to note that the painting was executed in 1665-6, within five years after three reprints of Neri’s book, two in Italian one in English, and only a couple of years before a Latin edition printed in Vermeer's own country.